Experience will transform design itself. Virtual reality (VR) and augmented reality (AR) are changing the design process. VR gives people a direct, visually immersive sense of the space, engaging clients and end users as active design participants. AR lets clients and design teams model and test options in real time, sharing performance data as they do so. Buildings and their elements and systems will be connected and smarter, using technology to maintain net-zero performance, “tune” to human needs, and reshape settings 24/7 to accommodate a wide range of activities. As innovations like immersive and computational design, digital fabrication, prefabrication, composite materials, and robotic construction take hold, look for quantum leaps in design and delivery. The process will be faster and more seamless, letting clients and their teams co-create projects at different stages of development, from concept to completion, without having to be together in the same location. As demand shifts to settings that can support a changing mix of needs and activities, new players will emerge to help organizations and people access space on a just-in-time basis. Some players will follow the sharing platform model. Others will offer maker, coworking, lab, accelerator, and incubator spaces—hybrid settings serving new markets. Built space is shaped by regulation and standard practice, and both will be challenged. Cities favoring an entrepreneurial and competitive spirit will embrace the change. But the industry will also respond with new products and services tailored to a changing clientele. Immersive design — the use of augmented and virtual reality to make clients and end users active participants in the design process — is a growing part of design practice. Virtual design meeting with Los Angeles Football Club clients for Banc of California Stadium. The integration of AR and VR is an obvious way to heighten the user experience. it’s also changing how we create and design, from conception to delivery. The importance of experience has raised the value of advanced visualization tools, such as augmented reality (AR) and virtual reality (VR), which bring clients and end users into the room. Gensler engaged Los Angeles Football Club (LAFC), a new Major League Soccer team, by incorporating VR into conceptual design phases for Banc of California Stadium. 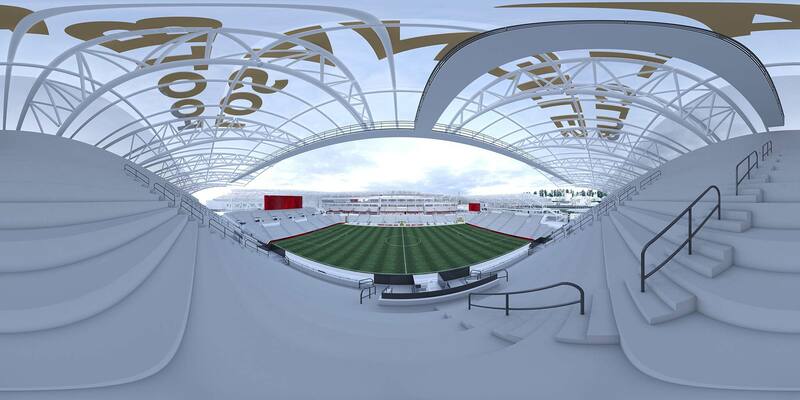 In addition to using VR as a design tool, Gensler helped LAFC use 360-degree, three-dimensional immersive VR visuals in their sales meetings to help them find potential sponsors for the new stadium. VR has been integral to the design of NVIDIA’s new corporate headquarters in Santa Clara, California. 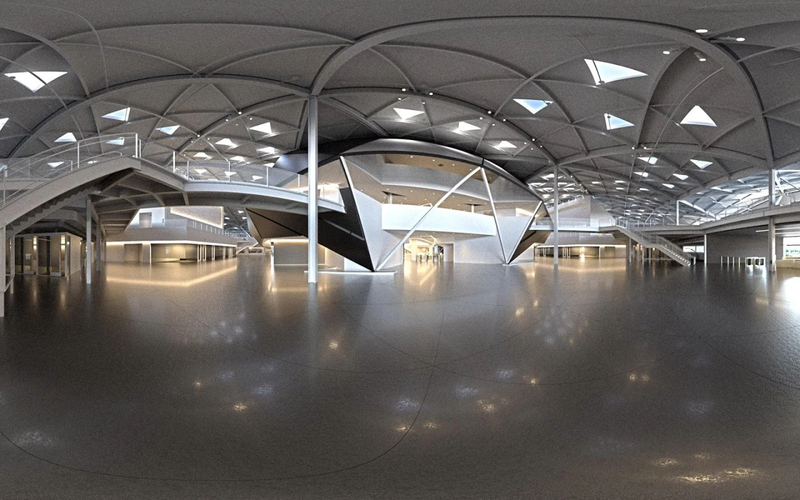 Gensler used NVIDIA’s Iray rendering software, which creates photorealistic imagery in 3D, to simulate the behavior of light and materials, and model the building’s interior. “VR has given NVIDIA the opportunity to explore and understand the building and its design,” said Gensler’s Manan Shah. 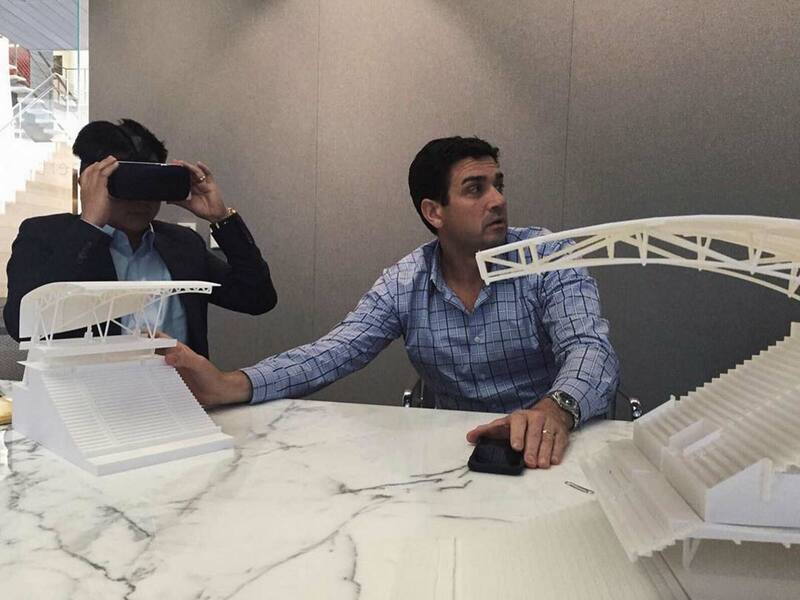 According to Gensler’s Scott DeWoody, software such as Iray and Gensler’s own proprietary VR App provides clients with a better medium to visualize their project, allowing for more rapid, confident decision making. Gensler is utilizing AR—also a design tool—on various projects, including a new bridge linking our Los Angeles office to an adjacent tower. In another project, Gensler worked with an AR developer and interactive design team to create an application so visitors using an iPad could engage with the “tornado” structure, the centerpiece of the Opportunity Green Conference in Los Angeles. Gensler used modeling, 3D printing, and on-site mockups to study the form. The fully functional office took just 17 days to print and install on-site. The technology helps cut labor costs, construction waste, and construction schedules. On the delivery side, 3d printing, robotic fabrication and prefabrication, and other methods are speeding things up while reducing costs and errors. Digital fabrication and prefabrication are a growing part of delivery. Computational design harnesses computing power to develop new forms and test feasibility and performance while a project is in design. Gensler, in partnership with Thornton Tomasetti and Syska Hennessy, unveiled the world’s first fully functional 3D printed office in Dubai. The structure, designed originally as a house, moves beyond prototyping to full occupancy. 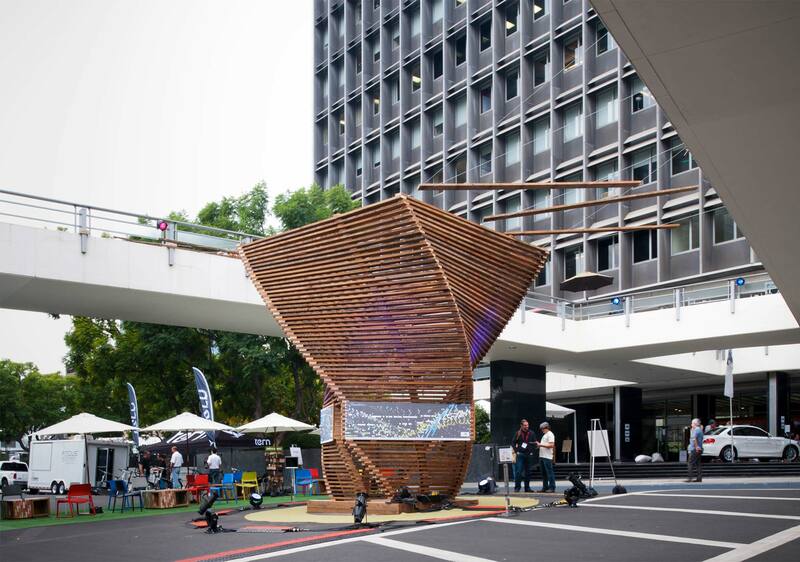 “This paves the way for a future where 3D printing can help resolve pressing environmental and urbanization issues. It allows us to deliver highly customized spaces for clients in a much shorter time,” said Gensler’s Richard Hammond. These methods unfold in different scales. 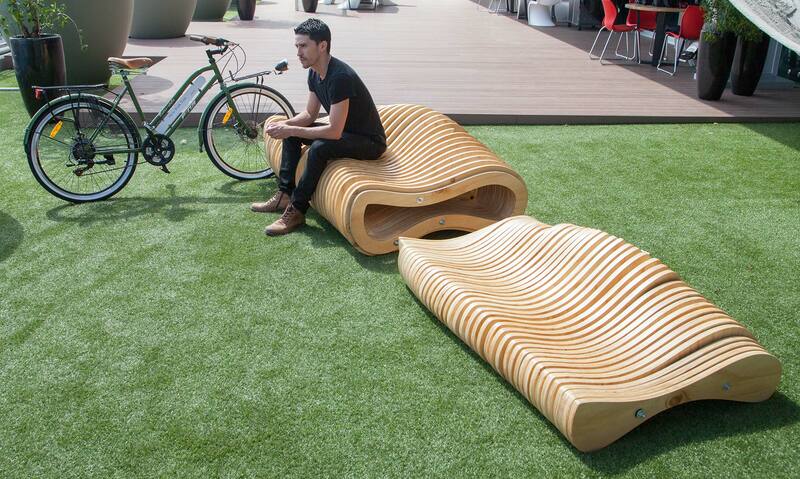 Gensler used digital fabrication techniques to create a prototype that duals as a bike rack and bench for Costa Rica’s Department of Transportation & Public Infrastructure. REVOLUTION: AR/VR, computational design, and new fabrication methods will change design/delivery fundamentally, making it faster and more seamless. Co-CREATION: Part of their potential is to allow clients and teams to cocreate projects at different stages of development without having to be together in the same location. Experience will be the differentiator. The use of immersive digital tools in the design process gives our clients an unprecedented ability to experience places and spaces as we’re developing them. These new technologies point toward real-time shaping of space, down to the details of how the options perform. Tied to digital modeling, fabrication, and building-phase innovations, these developments will be an industry game-changer. How we design, develop, and manage buildings is undergoing a dramatic shift that reflects fast-changing market and end-user demands. Immersive design, 3D fabrication, new materials and systems, and the advent of artificial intelligence (AI)–driven controls all point to a revolution that will change the design narrative of building architecture. Advanced visualization technologies such as augmented reality (AR) and virtual reality (VR) have become essential components of the design process, allowing designers and clients to experience design plans beyond two-dimensional media, such as paper or a computer screen. Smart buildings with a higher order of intelligence complement these innovations in design practice. Together, they point to a revolution in our industry that’s overdue, one that will help future-proof built space for our clients.